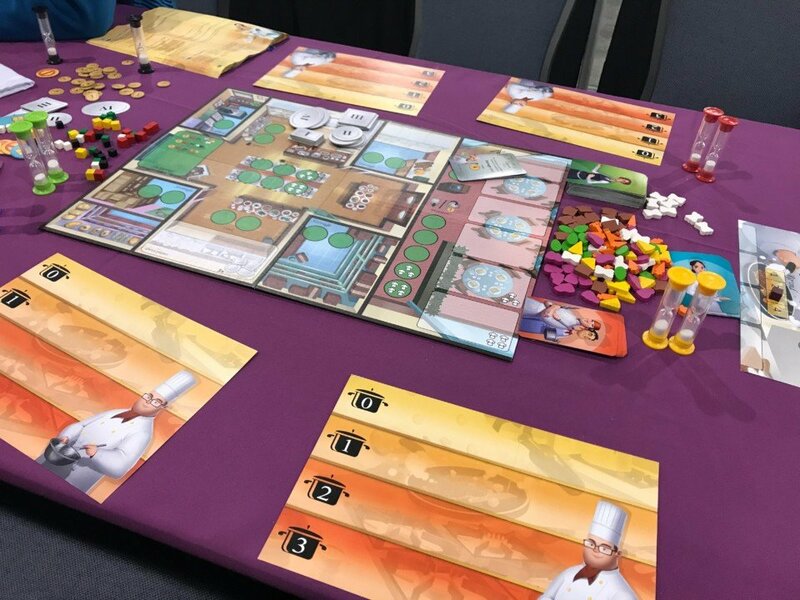 Bits and boards everywhere. Who's down to play? 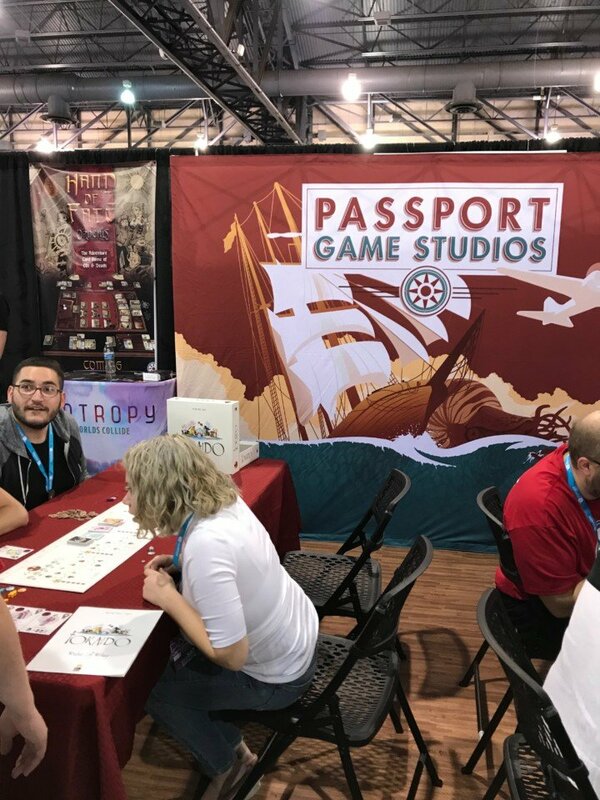 Coming from conventions like San Diego Comic-Con and PAX Prime, I’m used to booths that are showy and quite the spectacle to behold. 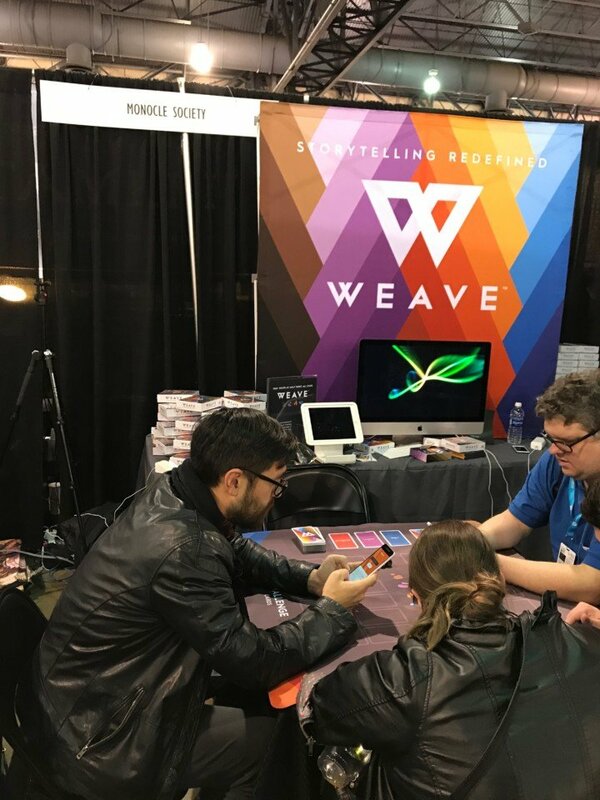 From actors brought in to play zombies to free escape rooms, convention booths are an opportunity to bring in new audiences in a way that print and digital media simply can’t. 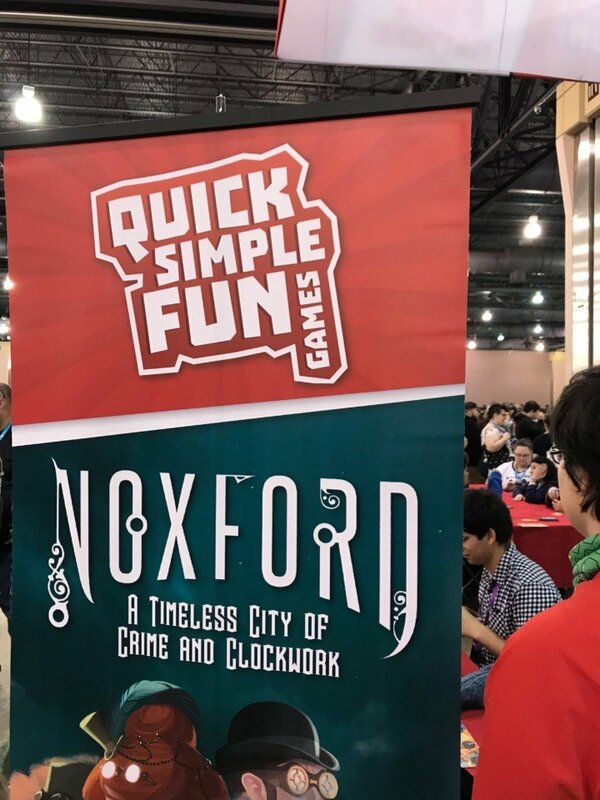 At PAX Unplugged, I noticed my attention gravitating towards a couple of booths in particular. 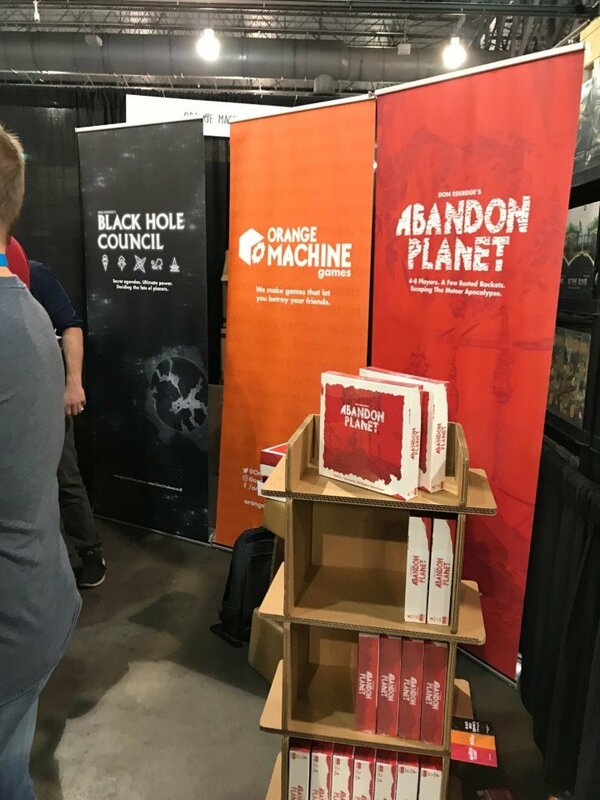 From this experience, I wanted to showcase some ideas that I believe make for great booth design. Pretty colors... oh, Weave? What's that?! 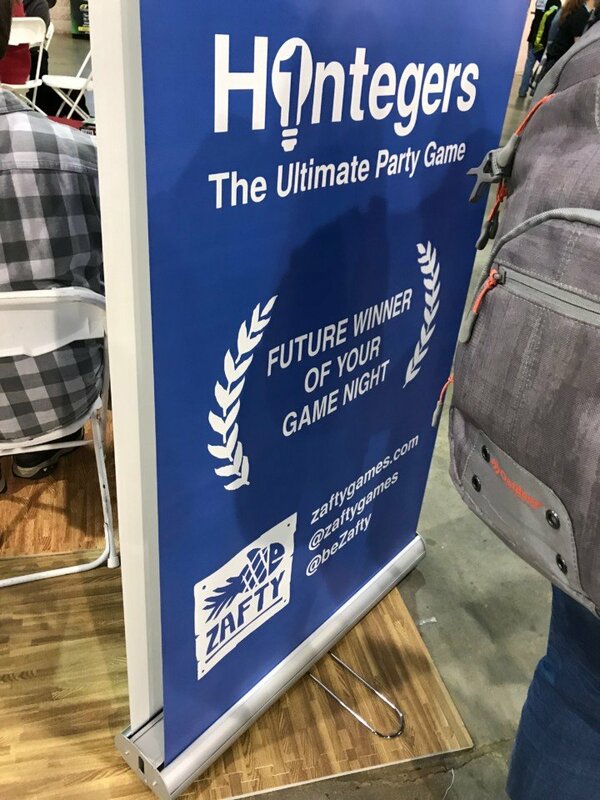 The right color and really set the tone for a booth and the games being played at it. There was a lot of red which contrasted against the black dividers. 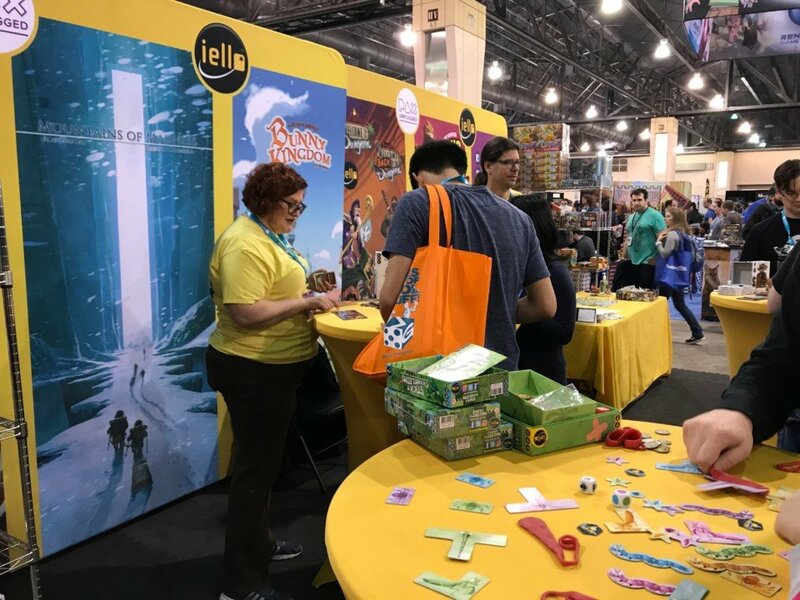 IELLO with their trademark yellow, catches the eye amongst more typical booth colors used and gets people excited. 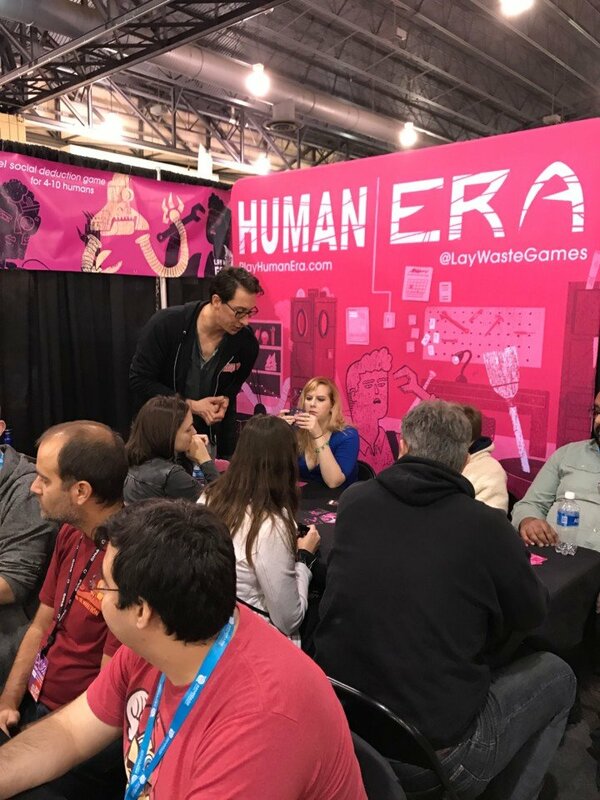 I passed by the Lay Waste Games booth a couple of times. Every time I did so, there wasn’t a single seat unoccupied. 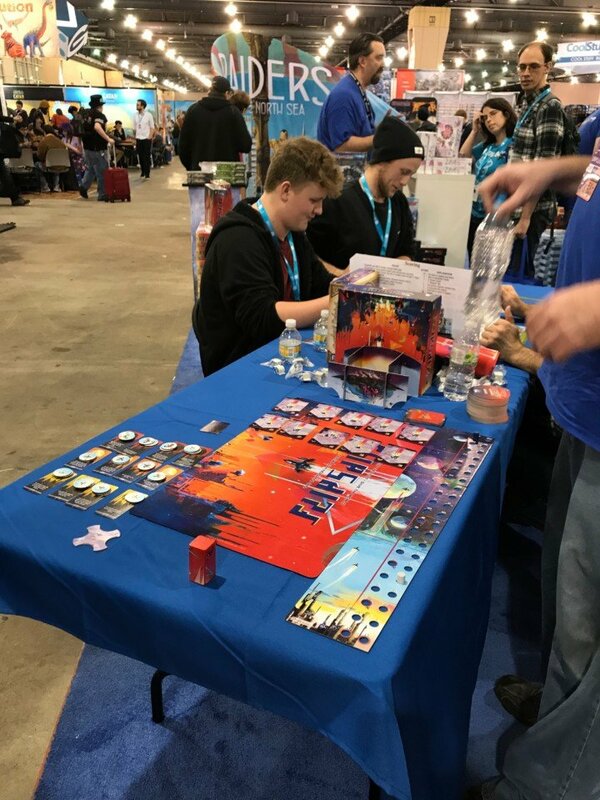 The fact that so many people were gaming in such a relatively small space for gaming made the game that much more special and intriguing. 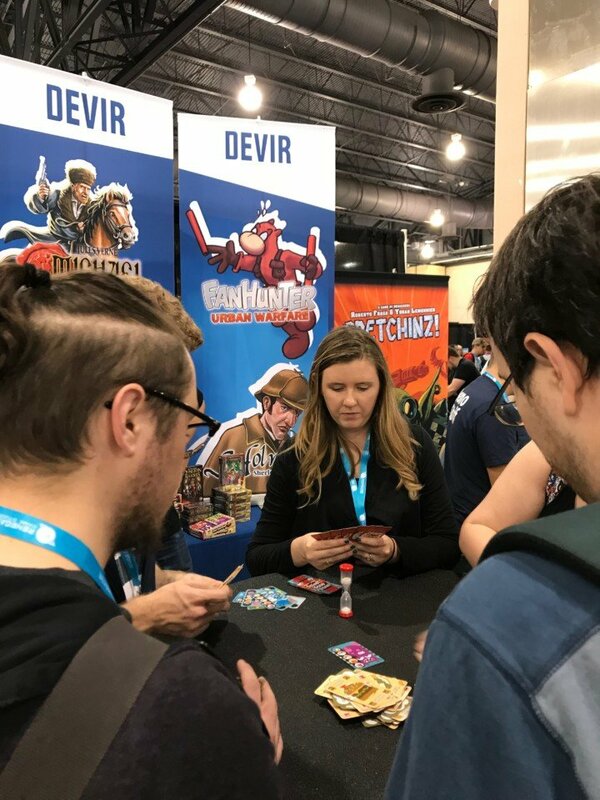 Keeping your booth busy can help improve marketability of your games as people seek to understand why so many others are captivated. Really now? You have me intrigued. It says 'chameleon' if you squint hard enough. Of course you want to follow up bold statements with even bolder facts. Amongst the seas of crowds though, a solid statement can be just the right quip to tractor-beam people to your booth. Who doesn't want to try to find something special? 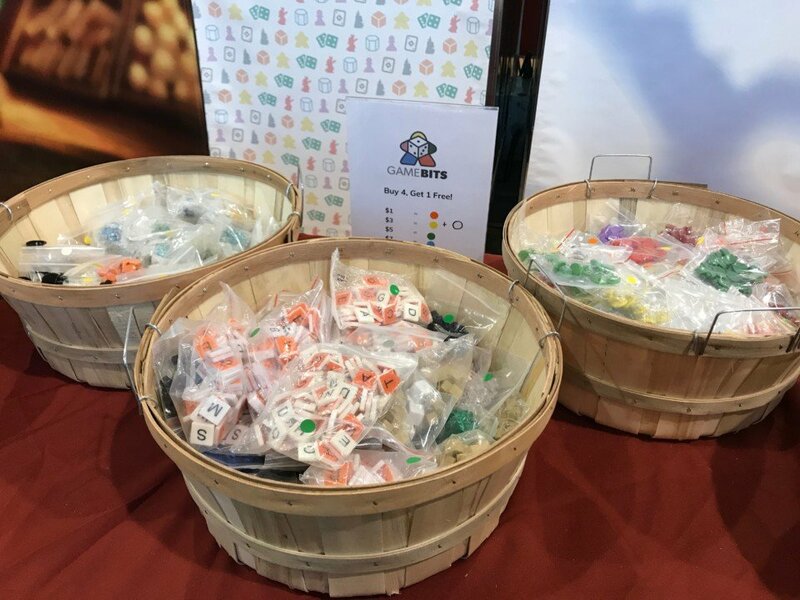 Like those bargain bins at stores like Target and Walmart, making people work a little for a deal or that game their seeking can mean the difference between a sale and someone walking by. People really engaged around a table? Wonder what's going on. 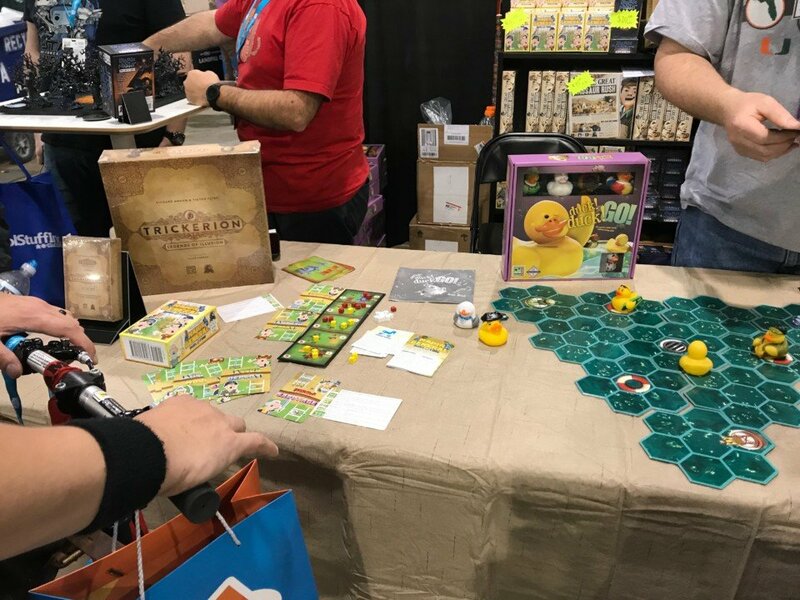 Probably the biggest booth design factor in whether or not I stopped by was space set aside for game play. 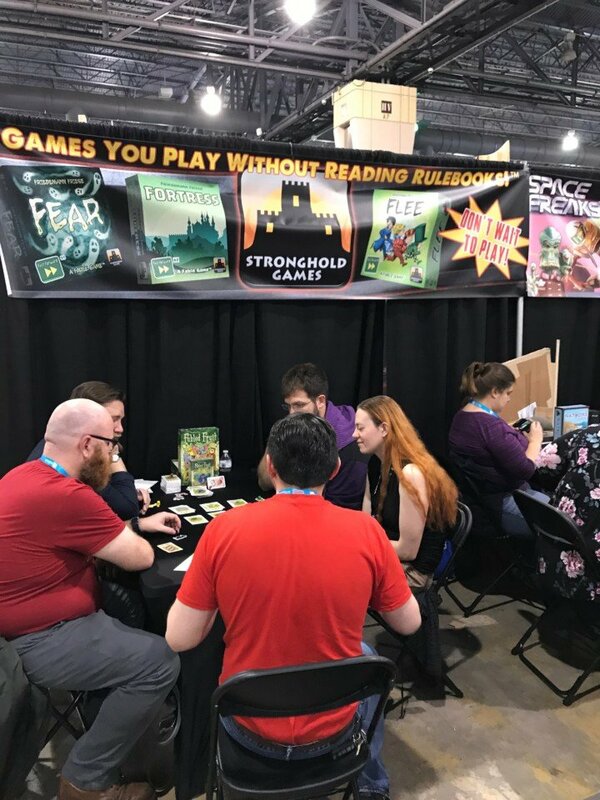 Sure, for small booths, this is a little hard to do, but some of the lesser known publishers still managed to be creative and make things work well, like Grand Gamers Guild. 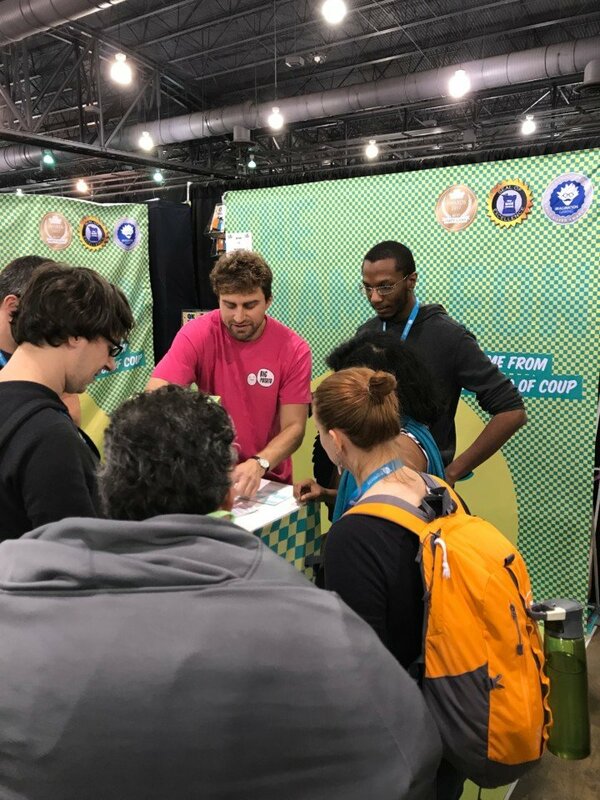 When combined with some of these other design factors, having an interactive space can be the key factor in whether you walk away from a convention in the black or not. What other booth design factors would you add here?